Steph: I bought these tea towels from Target weeks ago and thought they were just too cute not to be transformed into something. This easy tutorial will teach you how to tote bag was a perfect, versatile solution to make into an easy DIY. I used the cotton webbing from the packaging as the drawstring, so the only other supplies I needed for the project was some thread for the very simple sewing. Turn down a long edge 1 ¾” and sew along the bottom. This will be the casing for the drawstring, so make sure you have enough space inside for your webbing to fit through! 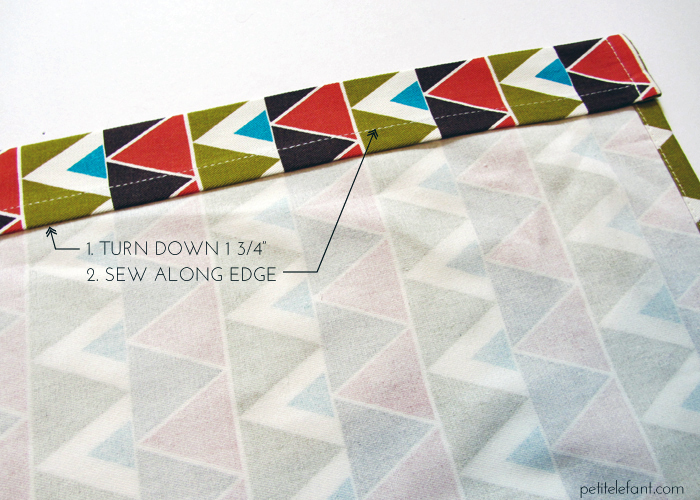 Fold the fabric in half with your casing along the top and sew along the open edges. Stop sewing at the bottom of your casing. 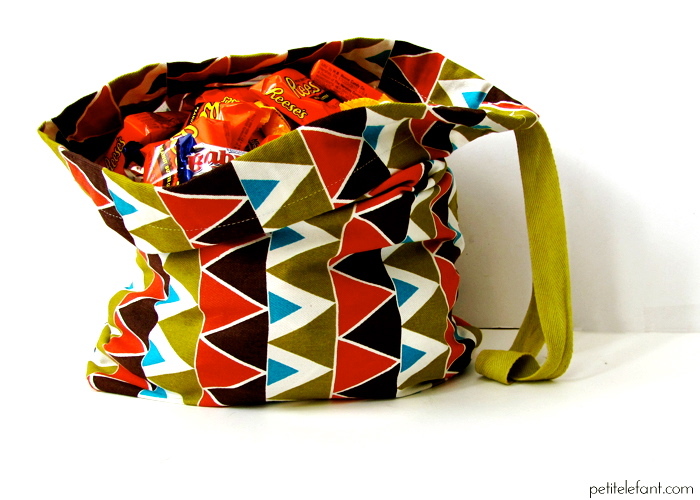 This next step is optional, but boxing the corners will give your bag a little more dimension. Here’s how-to box the corners: pinch the corner so the side seam (or side crease on the other side) and bottom seam are together. Flatten and pin together to make secure. Draw a line across that is equal lengths from the corner. 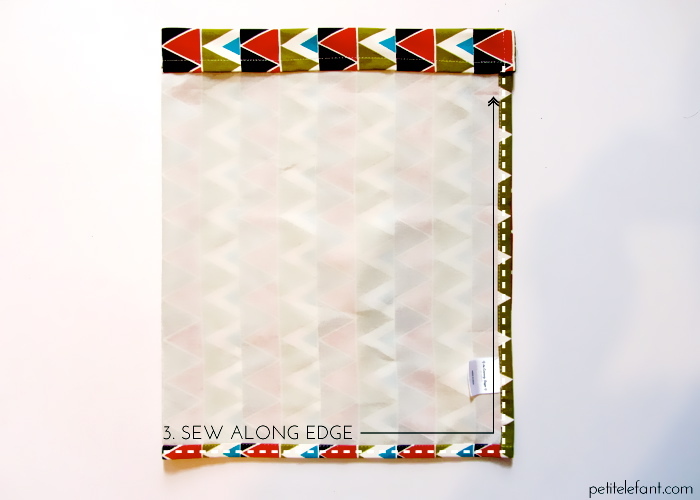 Sew along the line, cut off the excess and admire your beautiful boxed corner! The more you cut off, the wider and shorter your bag will be. Now it’s time to thread your webbing through the casing. I always put a safety pin at the threading end so its easier to push through. 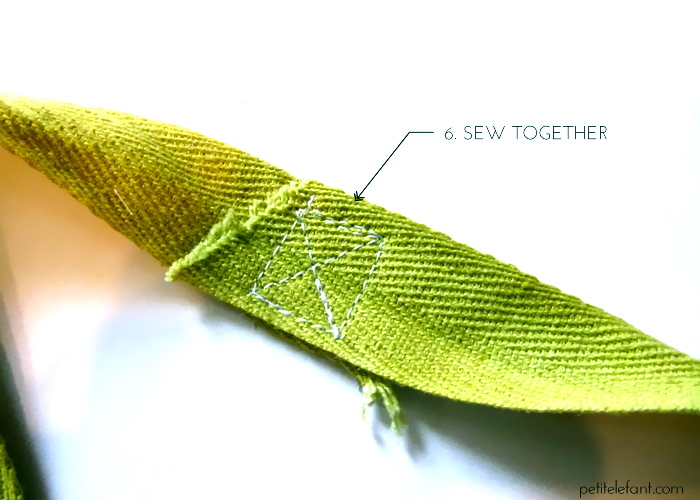 Securely sew the two ends together. 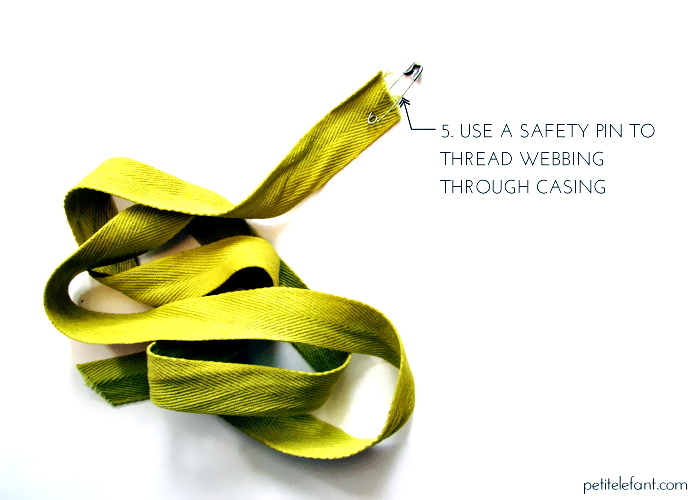 Pull the webbing through the bag to hide the sewn ends in the middle of the bag. 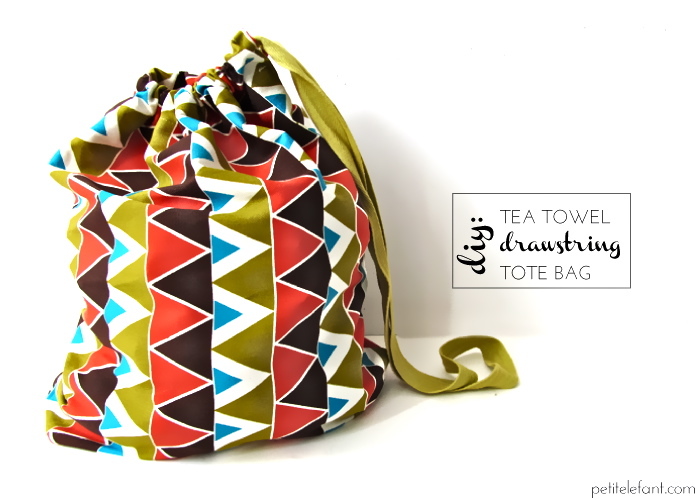 Now you have a cute little tote bag from a tea towel! This DIY is adorable, and know you’re in the know and have easy how to instructions to make your own. It would make a good trick-or-treating tote bag, but the possibilities are endless! What will you do with yours when you make one? this is easy enough to make one for everyone I know. I have been thinking about making reusable gift bags for Christmas gifts, and these would be perfect! Colorful, fun and very multi purpose, my favorite! Thanks, Sarah! I’m glad you liked them!